Bartmann Group can cater your next event in any one of our unique spaces or private venues. Each location offers a special personality and style -- from Gastro Pub to Bowling Alley to French Bistro to Supperclub to Bohemian hideaway, there’s a place for your party. Our experienced and savvy sales team is ready to make customized recommendations that match you with the perfect menu and venue. We can provide private-dining and after-hours options. Everything in our portfolio (except Bread and Pickle) will be available during Superbowl 2018, including full buyouts. All our restaurants are low-waste and so are the events we produce and cater. For every party, we maintain our attention to careful sourcing of ingredients, deliciously prepared food, and excellent service. We look forward to showing you how we rock it here in Minneapolis! 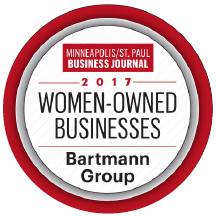 Call Bre at 952-270-5585 or email bre@bartmanngroup.com to book your party or fill out the form below!